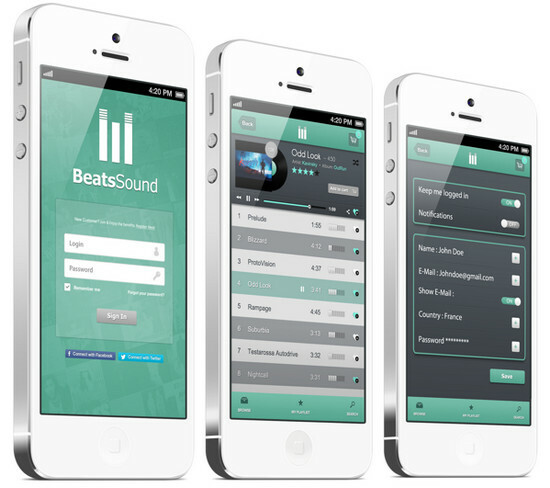 Here we grabbed some of best Music Player concepts apps for Apple iPhone and iPad from Bēhance Network. 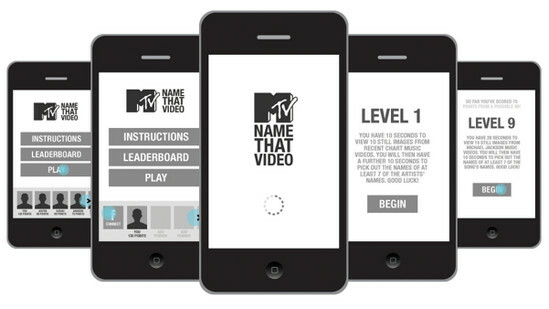 Every app Artist made has ultimate design graphics used for iOS Applications, Some of have retro look or some elegant and easy to use on iphone5. All the Concepts are incredible if you really want this stuff go to the link which you like the most and click on appreciate this button on below the post on their Bēhance link. 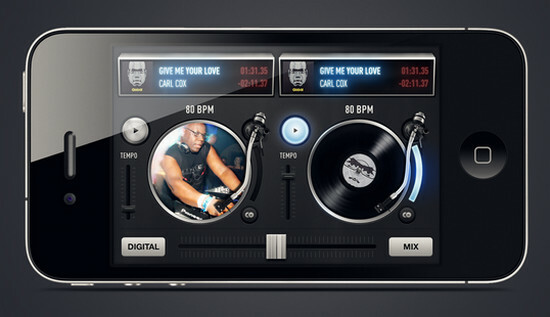 If you are a music lover or Dj you will love these apps because it's so highly pixilated and believe us its be amazing looks, the graphics results on your new iphone5 retina display as well as iPad new generation. 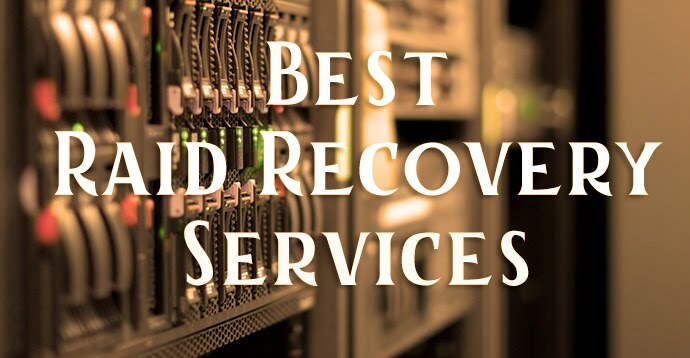 If you really like this post take a second to share this on social networks. 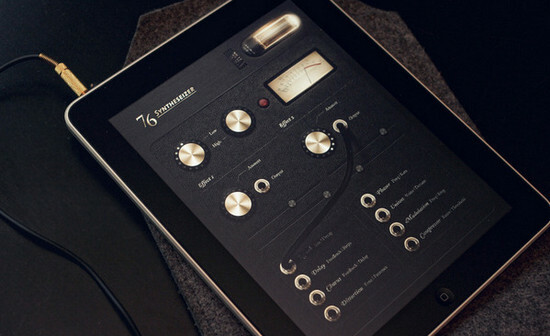 76 synthesizer concept by Jonas Eriksson looks truly high graphical design on iPad retina display. It features eight different effects and three pads driven by two oscillators. This Big Playlist View layout design by Jonathan Kelly, where each music song has ravishing photo-based stripe album art. This looks like a DJ mixer set up with the scratcher. Design made by Jonas Eriksson for iPad and iPhone. 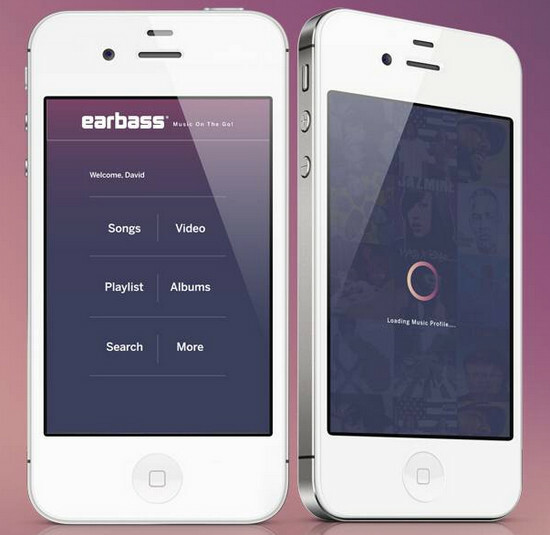 Earbass is designed by Quintavious Shephard ably mix collaboration monochromatic vivid background concept, grid-based layout, bold soft typography and vibrant components with a subtle gradient. Flatplayer is a trendy style designed by Ehsan Rahimi, it has great featured like showing a playlist on below now playing song. Groove! 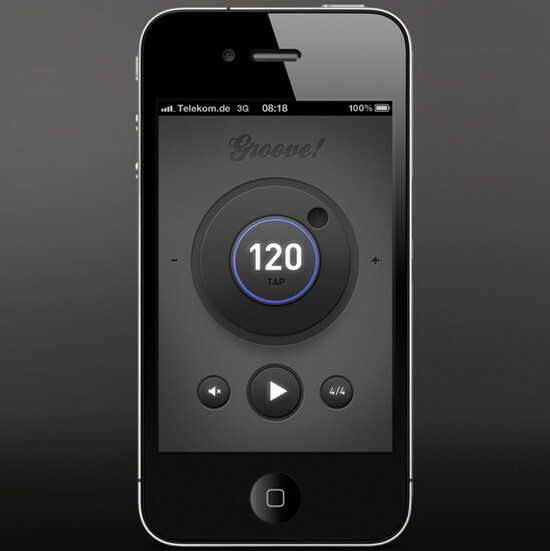 Is made by Tom Reinert, it has made beautiful black retro look with player control buttons. This iPhone app is built by Abraham Vivas, this app is full of multicolor layout, it has a beautiful song gallery with social sharing buttons. 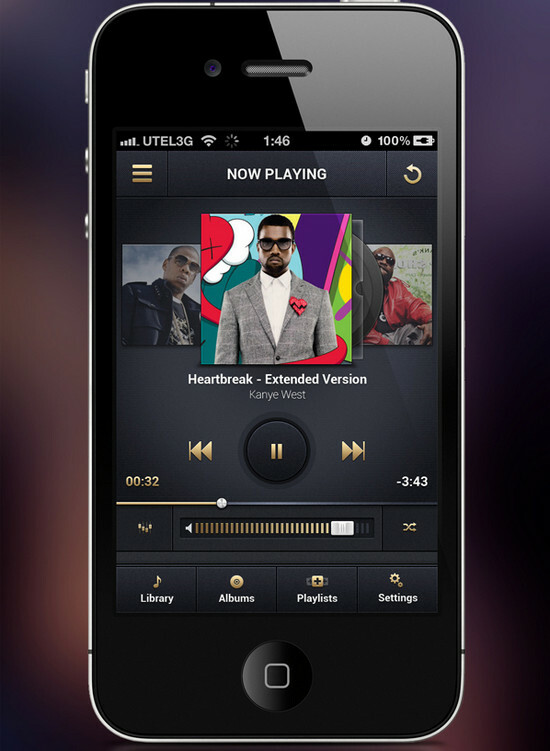 This elegant iPhone music player designed by Dmitriy Haraberush, this is really easy to use like android google play music. 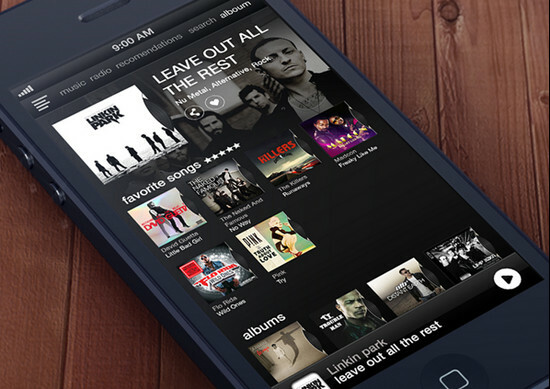 This project seems dark theme usually for black iPhone create by Enes Danis, in this app you listen free music via online. 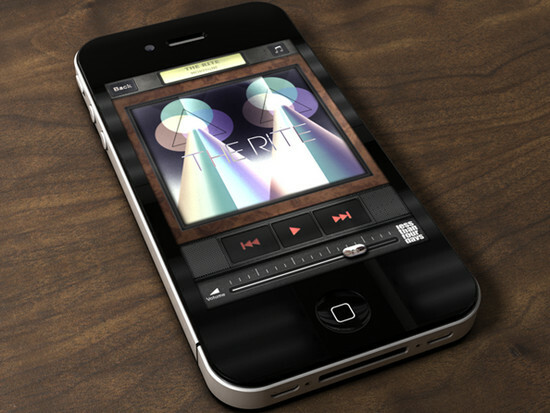 We really like this retro, wooden look music player theme of iPhone. Less than four days by Abraham Vivas. This is so cool player and this is the best alternative for iTunes. 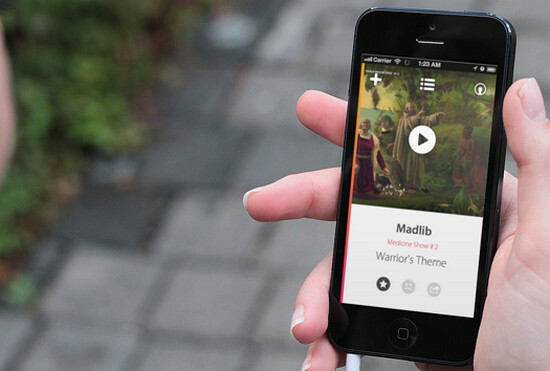 MixTape App for iOS iPhone made by Marco Nenzi. 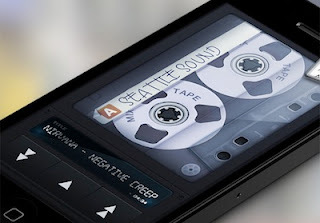 It has realistic tape themed in the player like we listening cassette player in 80's. Moodsnap by tom Junker fully relies on your emotional state and recreates appropriate graphics for current mood, it has great background look with control features. 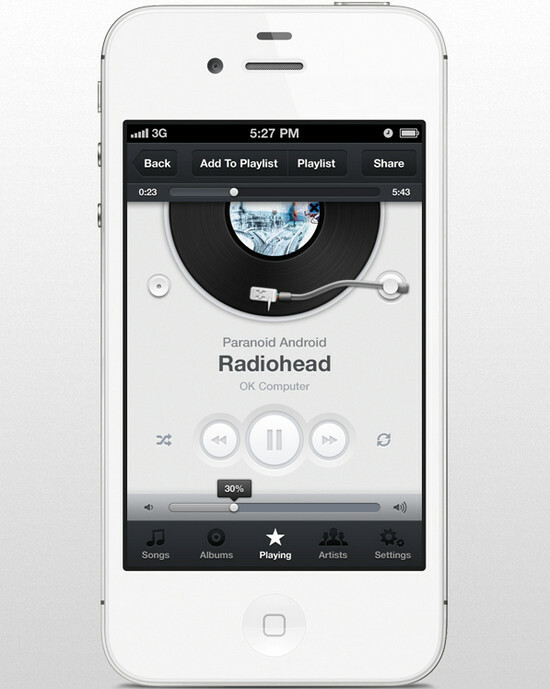 This project concept idea is Andrew Couldwell, it is white based theme look clean and easy to use this player. 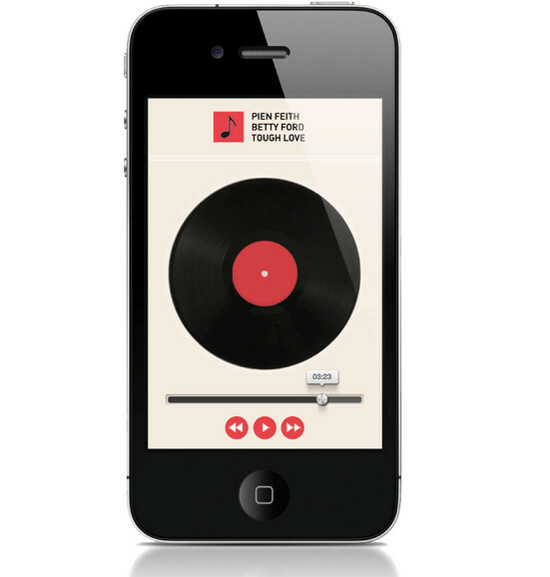 This Music app is so easy it has big oldies black big CD with a retro look, this design made by Roy van Laar. 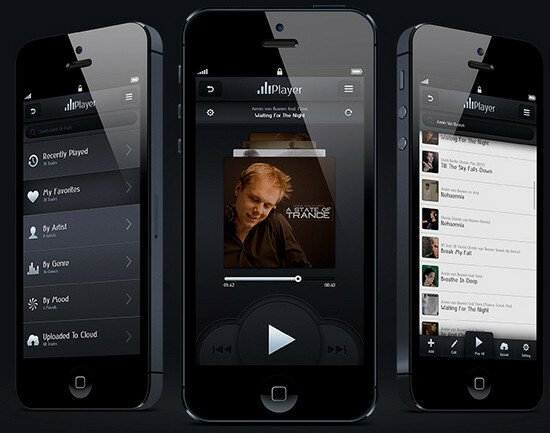 Project made by Alex Bender, he uses a black background on the player to the grid view of playlist. They add a new feature favorite song on the main screen of the player. 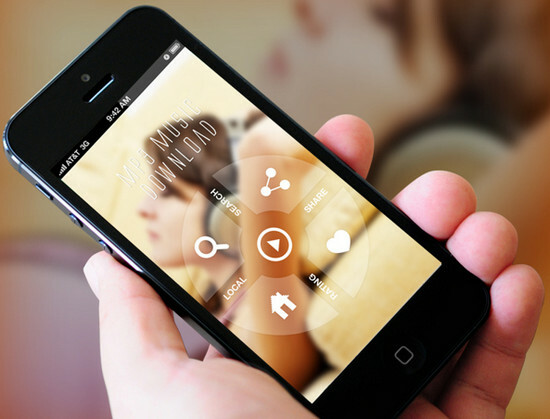 An elegant interface upcoming design with a white background music player for iphone5, this playful look cool funky and you guys love to enjoy after installing this app. 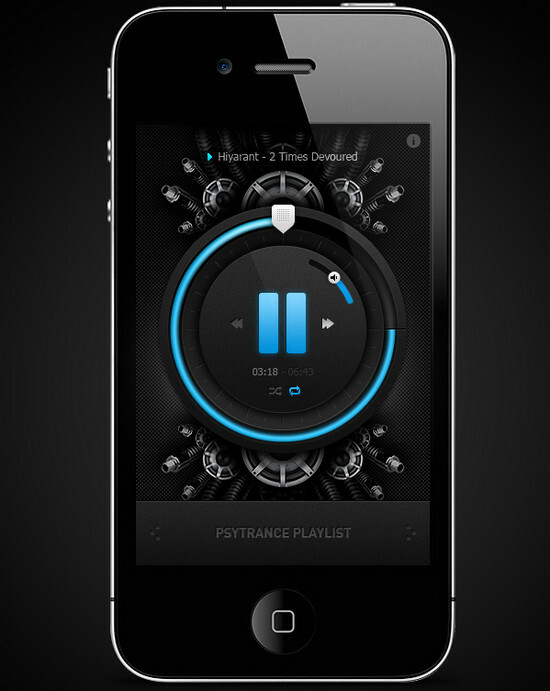 This mechanical dark theme music player app made by Emile Rohlandt. This is wonderfully injected luminous blue led graphics which instantly eye catching. Modern Style of a theme designed by Ernest Gerber conveys a soft and warm experience with purified buttons with pink combination. This design made by Maria Helena. 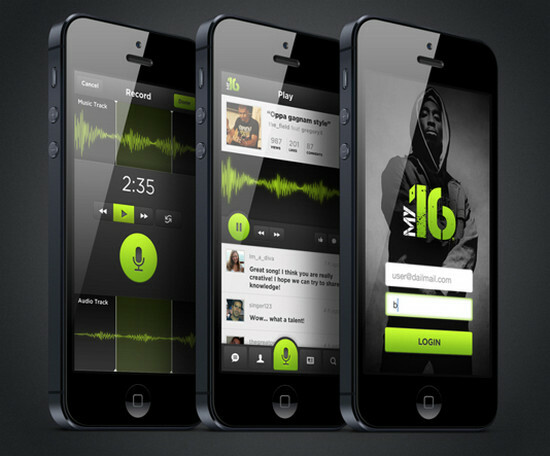 Combination two colors darks and green streaks on the eyes, featuring voice search inbuilt, this is app is for independent rappers to have their own music. New MP3 Music Download songs App designed by Amit Rai looks elegant with background wallpaper and simple to use. Widgets are transparent there are only four buttons on the main screen search, share, home and like. 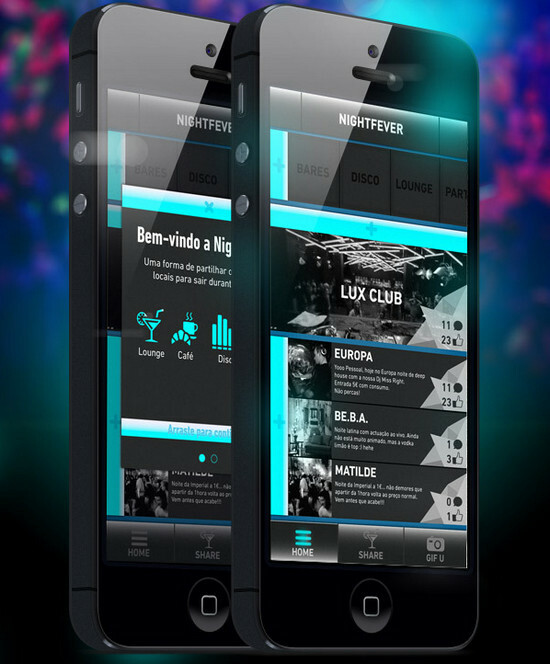 Night Fever is an iPhone app that connects people to help them find the best place to be during their night out. 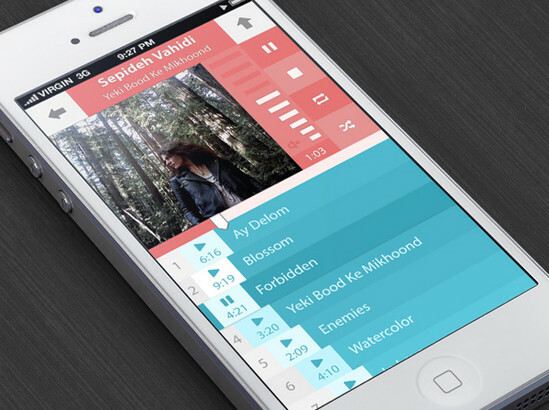 A new concept of iPhone music player designed by llya Boruhov. There is a feature uploaded to cloud in which you can sync songs wireless. 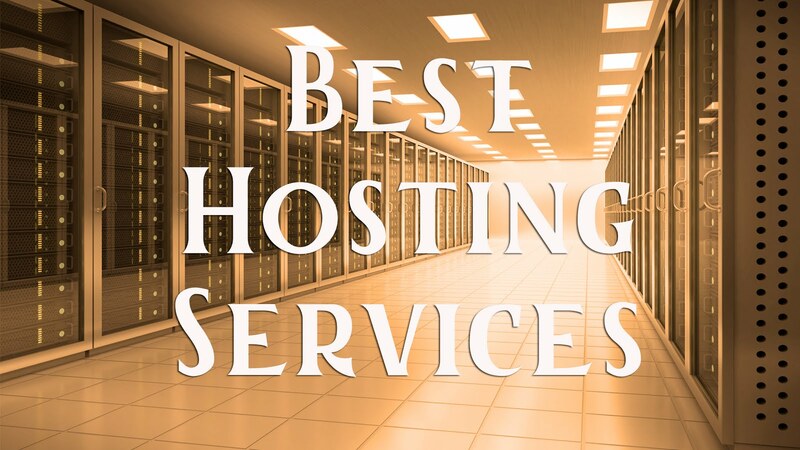 Martin Janek presents this beautiful design on bēhance network. It has a scroll for volume up and down with the play pause button in the middle. 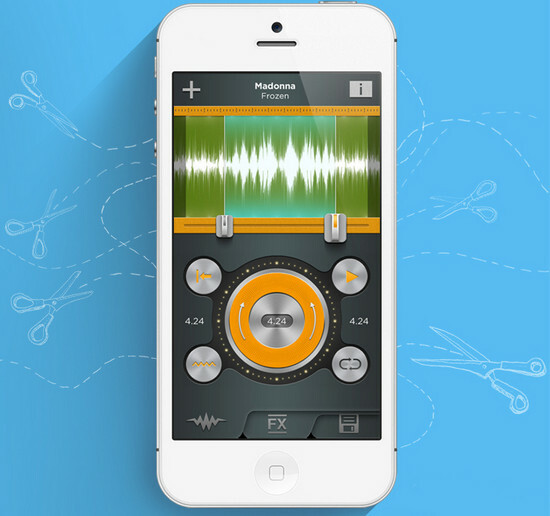 Cool Design for making ringtones created by bamboo apps, it has a round scroll for volume up and down, steel look buttons with orange contrast combination. 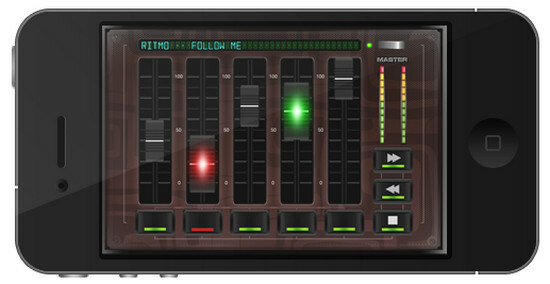 Professional Visualized settings on your iPhone with ease enchant users, When you knobs were down it glowing red when up it glow green. 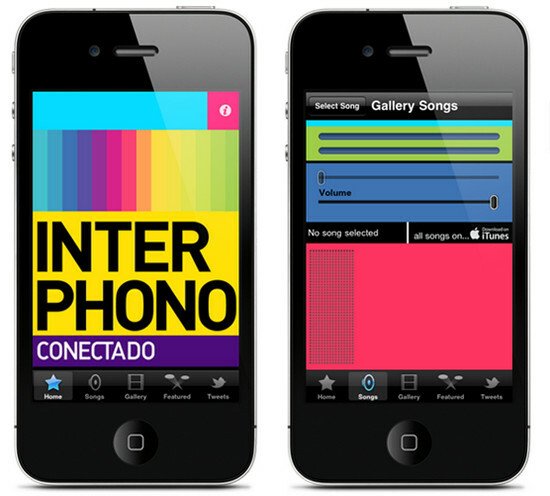 This piano look style app built by Isabel Aracama. 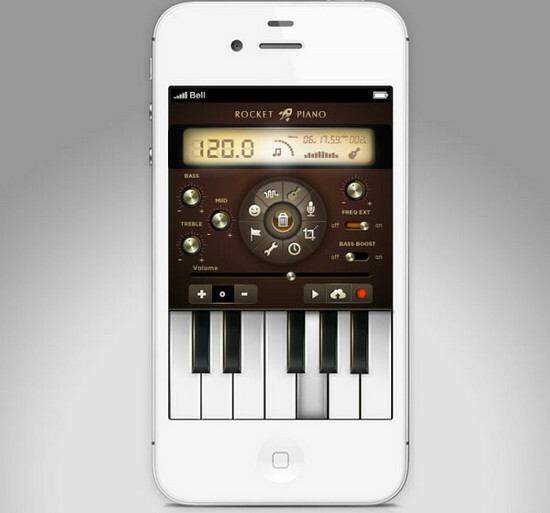 In this app gives you great opportunities for playing the piano. And also great resource of piano. This Eco clean music player designed by Jeet Sean, Pretty clean theme with big controllers buttons. 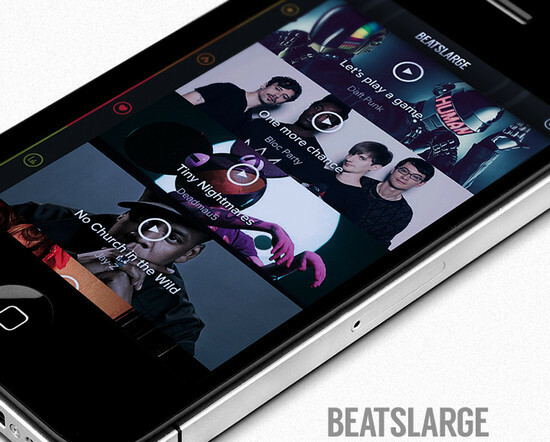 A New Fresh look theme based with soft graphics, Login to buy online music like iTunes. 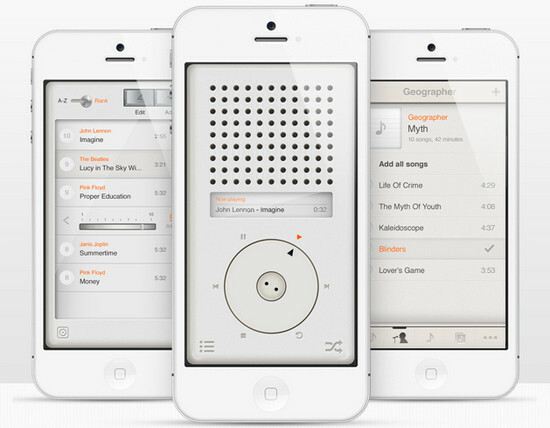 The player inspired by the designs of Dieter rams for Braun. 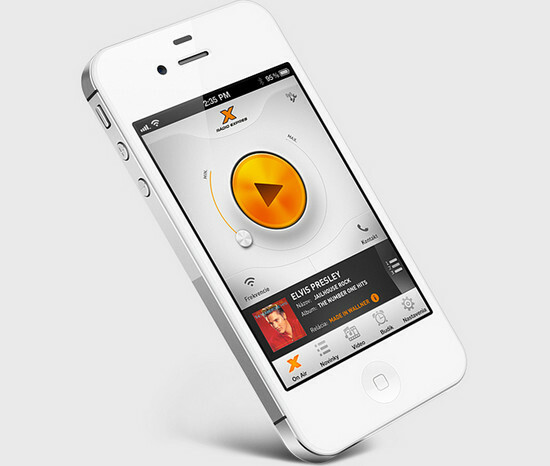 T3 has simplified all the standard controls of a music player. Their design is similar to an old radio which has a navigation for play/pause just slide your finger on it. 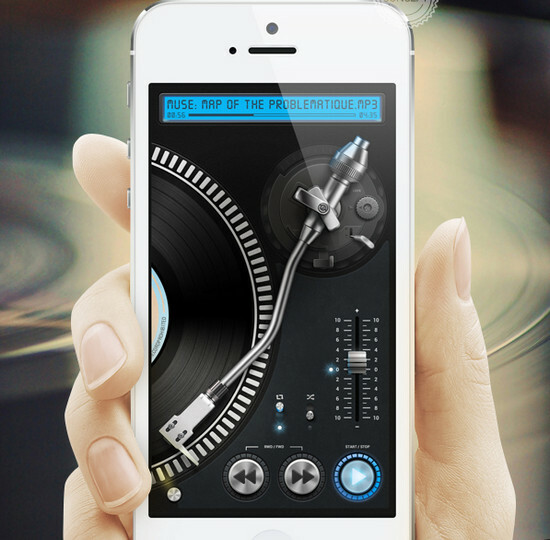 The picture shown like a Dj console, but its an iPhone app for disc jockey's including amazing metal knobs with disc driven.